This book is aimed at students taking courses on evolution in universities and colleges. Its approach and its structure are very different from previously-published evolution texts. 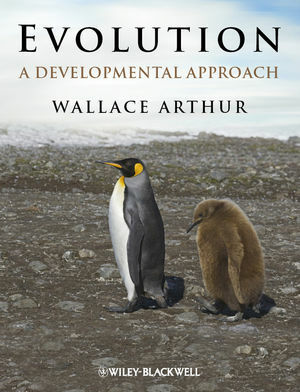 The core theme in this book is how evolution works by changing the course of embryonic and post-embryonic development. In other words, it is an evolution text that has been very much influenced by the new approach of evolutionary developmental biology, or 'evo-devo'. Key themes include the following: developmental repatterning; adaptation and coadaptation; gene co-option; developmental plasticity; the origins of evolutionary novelties and body plans; and evolutionary changes in the complexity of organisms. As can be seen from this list, the book includes information across the levels of the gene, the organism, and the population. It also includes the issue of mapping developmental changes onto evolutionary trees. The examples used to illustrate particular points range widely, including animals, plants and fossils. "I have really enjoyed reading this book. One of the strengths of the book is the almost conversational style. I found the style easy to read, but also feel that it will be invaluable in teaching. One of our tasks in university level teaching is to develop students' critical thinking skills. We need to support them in their intellectual development from a "just the facts" approach to being able to make critical judgements based on available evidence. The openness and honesty with which Arthur speaks to uncertainty in science is refreshing and will be a baseline for discussions with students." "This book, written as an undergraduate text, is a really most impressive book. Given the burgeoning interest in the role of developmental change in evolution in recent times, this will be a very timely publication. The book is well structured and, like the author's other books, very well written. He communicates with a clear, lucid style and has the ability to explain even the more difficult concepts in an accessible manner." The companion site can be found at www.wiley.com/go/arthur/evolution. Here you download all figures from the book, captions, tables, and table of contents. Wallace Arthur is Professor of Zoology at the National University of Ireland, Galway. He is one of the founding editors of the journal Evolution & Development. He obtained his PhD from the University of Nottingham, and held positions at several British universities before moving to Galway in 2004. He has been a Visiting Research Scholar at Harvard University and a Visiting Associate of Darwin College, Cambridge.